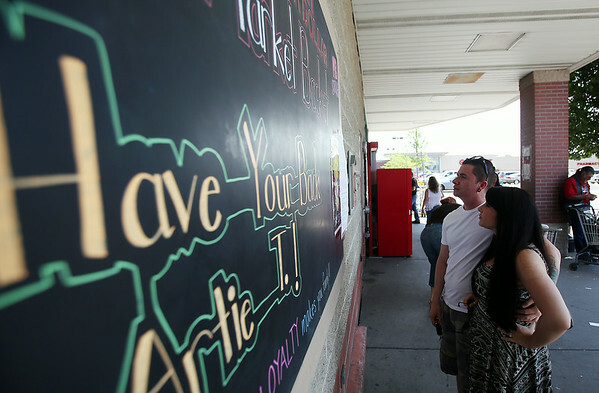 Billy Sawyer and Krysta Murphy, of Lynn, read a letter in support of former Market Basket CEO Arthur Demoulas, at the Market Basket on Highland Ave in Salem on Monday afternoon. DAVID LE/Staff photo. 7/21/14.